For many residents of Peninsula Village, in Umina, it was a particularly solemn day. Those who had lived through difficult war-time eras, found the milestone incredibly moving and personal. To commemorate a Century since the end of WWI, residents joined forces with Umina Men’s Shed to honour every local hero who had lost their lives in that conflict. Using timber donated by Bunnings Umina, the Men’s Shed made 225 wooden crosses – one for each of the fallen community members. Carrying an engraved name plate and a knitted poppy, the crosses were displayed at Peninsula Village on Remembrance Day 2018. While the crosses remain on site, Peninsula Village feels they genuinely belong with the families of the late servicemen. Peninsula Village CEO, Shane Neaves has arranged a ceremony at 10:30am, Thursday 11 April, to hand the crosses over to veterans families. Shane is calling upon surviving relatives of the WWI veterans to attend and receive the cross made in honour of their heroic ancestor. The presentation is also open to representatives from local RSLs. “Ideally, we would like to present all the crosses to family members,” said Shane. “Each cross represents a fallen soldier whose legacy means so much, but to none more so than members of their own family,” added Shane. “Our residents involved in placing the plaques on the crosses reminisced about their family members that had gone to war, the hardships families at home endured and the great sacrifices our entire country undertook during this time and we feel the crosses belong with those families. 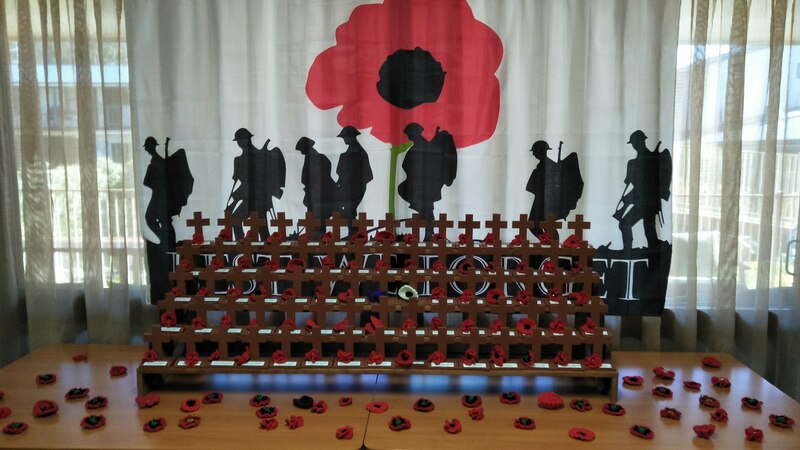 “We’re extending this invitation to all family members to come along on 11 April for what will be a very moving presentation to present these crosses to their families,” he concluded. A full list of the late soldiers included in this remembrance memorial project can be found here on the Peninsula Village website: peninsulavillage.com.au. For more information, please contact Heather Jones at Peninsula Villages on 4344 9199.